home will be showing in this exhibition. Halifax 3rd and 4th December. See link on titles for more info. I'm happy to be showing work at The Art Rooms in Saltaire village as part of this years Arts Trail - free entry - 28-30th May. The Beaney Art Museum and Library, Canterbury. ​See link on title for more info. ​I'm really pleased to be showing new work alongside Nina Chua, Dennis Whiteside and Richard Shields in the wonderful Historic Reading Room. Click on the title above for details of the exhibition and venue. 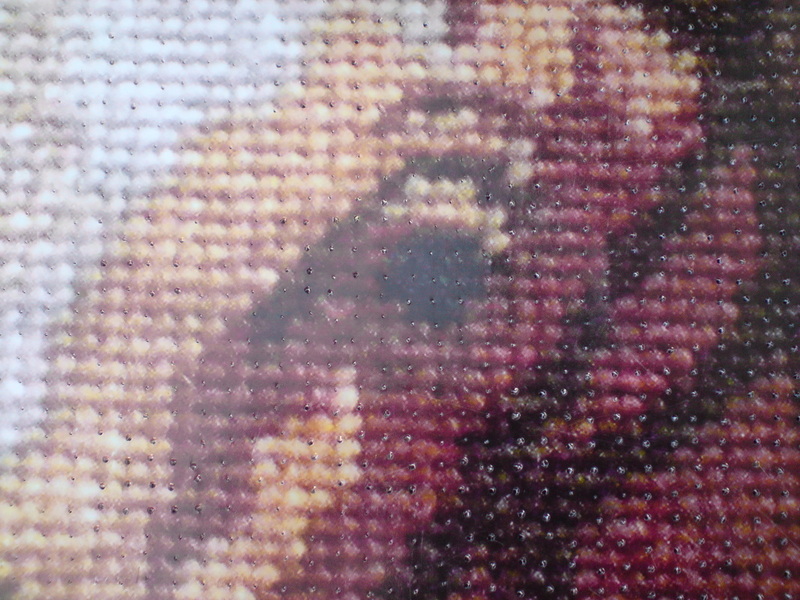 For clues as to the work I made click the image below. 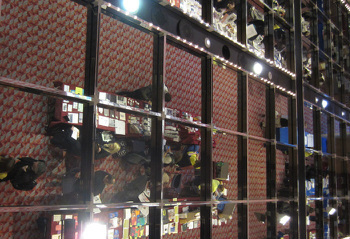 Should be at the Liverpool Artists Book Fair next weekend, come and say hello! Showing 3 new pieces at 2 wonderful book fairs soon. I'm pleased to have had a new print, 'Longing Cabinet' selected for exhibition at Salisbury Arts Centre. It will mean that for 1 month both block and print will be viewable across the country. See below for block viewing details. I'm most excited to have been selected for the show in Bolton. Click above title for details. 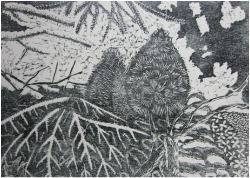 Shutter in print and block form is showing at Warrington Art Gallery until 16th September as part of the Hot Bed Press Studio, 20 year celebration. For more info click on the title above. I'll be showing work at this fair in the newly refurbished Central Library, July 4th and 5th, sharing a table with Karen Joyce. Also 'fluxes', a starbook that can be found at the bottom of the book page, will be part of an exhibition there from 2nd June - 6th July. More info click on the title above. Turn The Page Artists Book Fair and look forward to another few days spent in the lovely city of Norwich over 2nd - 3rd May. I'm excited to be showing work in this yearly exhibition in Sledmere, East Yorks. Also home to a 1960's touring caravan. Open 11-5 daily from July 27th -Aug 11th. Exhibiting in this lovely space with new and old work. I've just finished making an edition of double- sided concertina- folded prints inspired by Didsbury Parsonage house and gardens. For more info on the work see here and for more info on the exhibition the work was made for click on the title above. I will be showing and selling at the Mill this year alongside the exacting letterpress and music of Little Red Rabbit Records and Red Plate Press. I will also be showing and selling at the fair this year alongside the dramatically brilliant Sue Shaw. Some of my prints and books will be in this exhibition alongside the work of Martin Stynes, Linda Berman, Lynn Marie Hall. We were all chosen as we explore perspectives of journeys or spaces. More info on the link above. Annie Clarkson and myself will be sharing tales of our collaborations and using some of our practice and processes to set exercises that will spark off new ideas and work in response to the exhibition currently at BLANKSPACE. For anyone interested in collaborating visually, in writing or both. 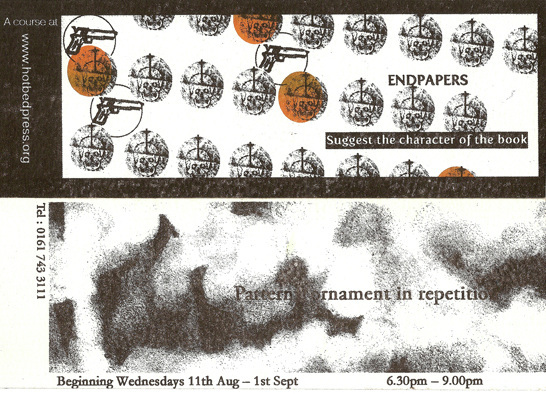 This is the seventh annual exhibition of experimental altered artists’ books, curated by Dr. Emma Powell and Melanie Bush. The start of the festive period sees the wealth of creative talent based at Islington Mill showcase their work and offer a range of unusual, one-of-a-kind gifts and treats. Mulled wine, homemade soup and mince pies are all on the menu and with music from members of BBC Philharmonic Orchestra performing it will surely be a beautiful evening to start the festive period. 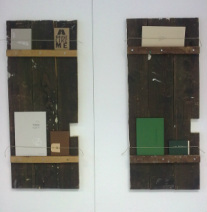 Saturday 22nd October sees the Holden Gallery at MMU fit to burst with all kinds of artists books. I will be sharing a table with the brilliant Sue Shaw, come see! I'm currently showing some new prints at Warrington Museum and Art Gallery as part of the Hot Bed Press Residency and Warrington Contemporary Arts Festival. If you can't make it there images should be up on the blog soon. I have just set up a blog to follow the development of a project over the next two years. 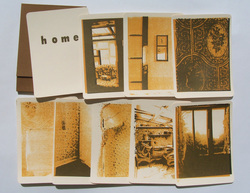 My 'home' flash card pack is currently in the Women's Work exhibition at the Link Gallery, Winchester. 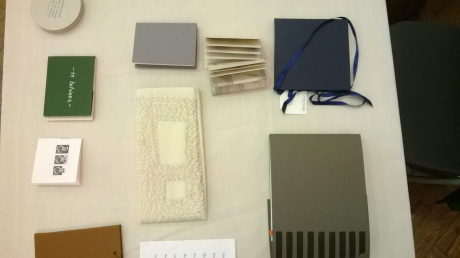 Looking forward to showing new work at Bristol Artists Book Event at the Arnolfini. It's a huge event with 85 stands, workshops, exhibitions, tours and more over the weekend of 30th April and 1st May. More info at the link above. More of my prints have been arranged by the lovely Kevin Craig for the new Fuzzy Lights album Twin Feathers currently receiving much play on 6music, I have found myself humming the songs bizarrely - they're not exactly pop maestros - but really rather good. I've been working on a collaborative project with 3 other artists to explore the connections between our creative practices as artists whose work has some form of textiles aspect. 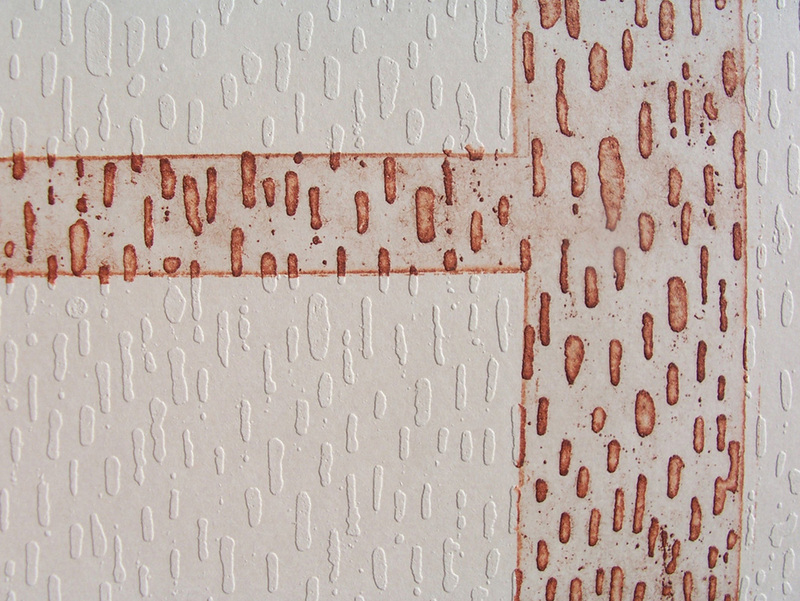 I'm co-running an evening course exploring surface pattern for endpapers at Hot Bed Press this August. Click on the image for more info. 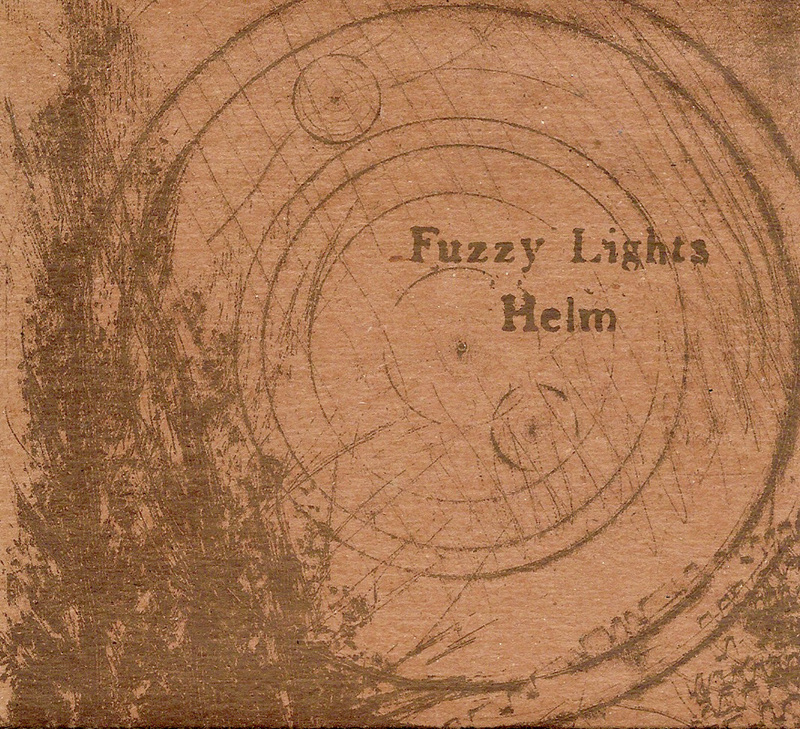 My artwork has now been printed by Stumptown Printers and is adorning the cover of the beautiful new Fuzzy Lights EP that was released on 7th June 2010 by Little Red Rabbit Records. With layout by Kevin Craig, the Stumptown printing process shows the scratches from the original intaglio. Nice.